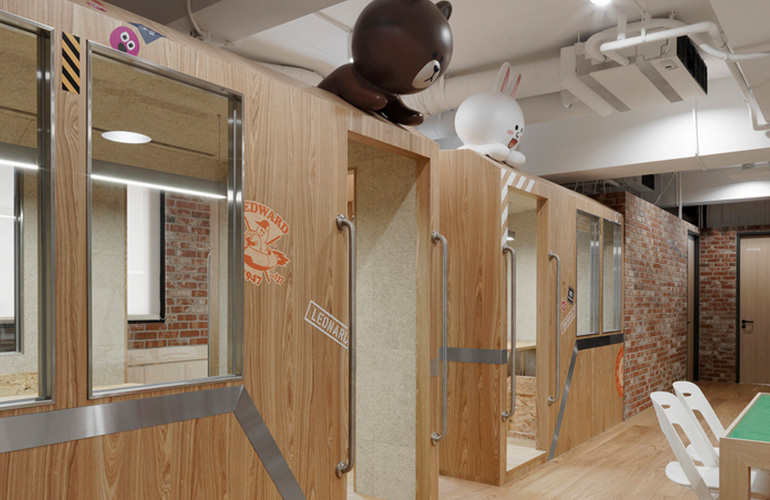 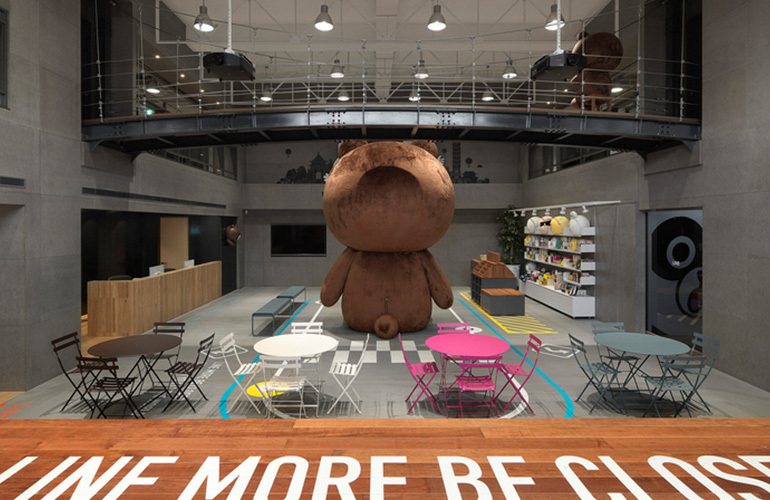 iDA Workplace + Strategy has developed the new offices of mobile app company LINE located in Taipei, Taiwan. 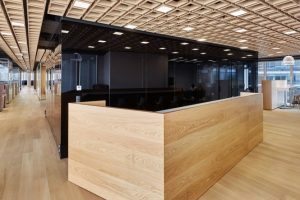 Serving as a commitment in Taiwan, this large and major office renovation demonstrated LINE’s ambition in the market. 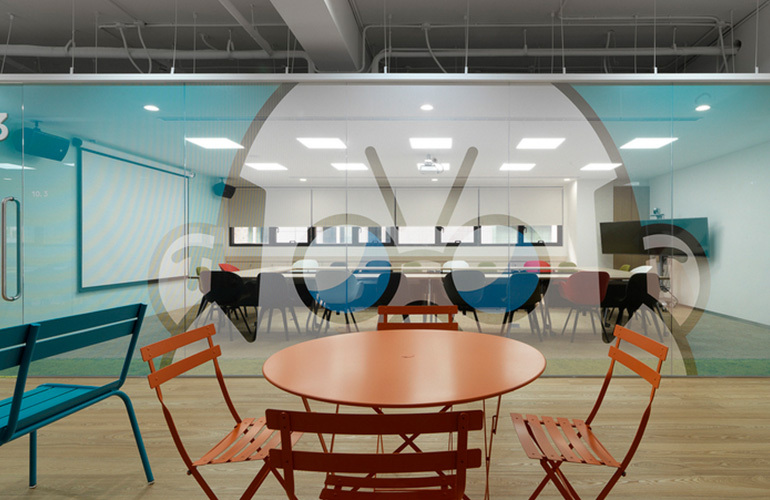 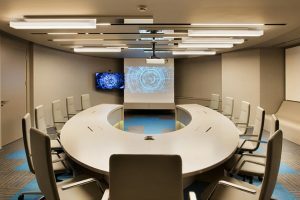 iDA has worked closely with the client’s representatives in terms of establishing project strategies in consideration of behavioral pattern from next generations, providing a different workplace like a “high-vibe” idea hub where people are encouraged to create, collaborate and innovate. 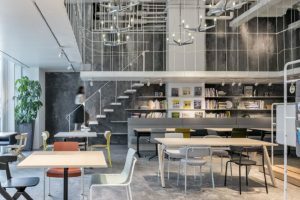 iDA translates LINE’s team-based working style into layout design; open office is furnished with open-bench workstations, low profiles and clustered arrangement allowing for unobstructed views and communication between team members. 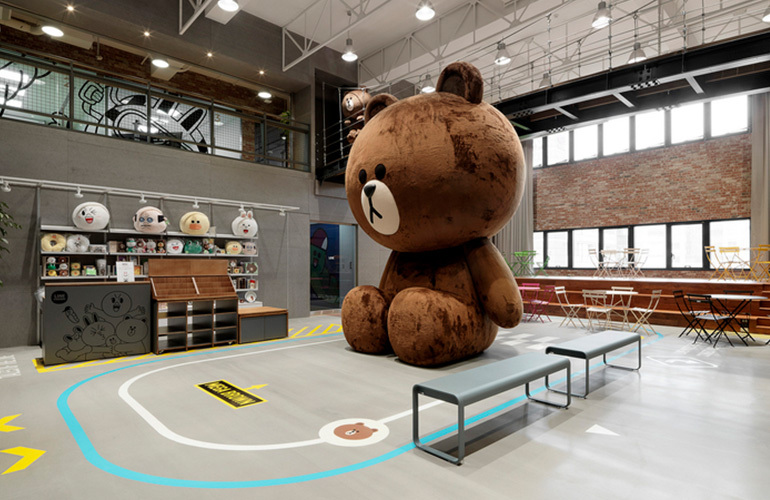 Local landmark/elements, such as capsule toy machine, camping tent, aboriginal stone houses and Taiwan Sugar Corporation railway carriage space as discussion area are incorporated into LINE’s upbeat space to carry its distinct strong culture identity and brand image which reminds you whereabouts in LINE colony. 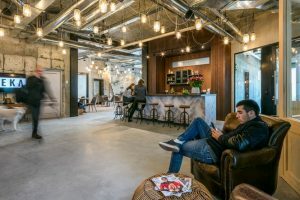 Design team adopts raw, rustic & outdoor materials, such as red bricks, cement boards, iron posts and natural hardwood to bring the zest of the industrial feel into the office; flexible and health-conscious space to those who needed and various creative collaboration spaces with different theme to unleash user’s creativity and spark ideas.